• 5x more protein than traditional cookie mixes. • Less carbs and sugar than traditional cookie mixes. • Non-GMO, gluten-free and artificial-free ingredients. • A nutritionally-balanced, macro-friendly treat. • Delicious mix for cookies, brownies, bars and more. 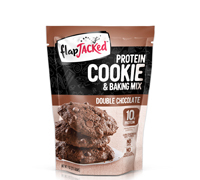 FlapJacked Protein Cookie & Baking Mixes are a delicious, nutritionally balanced alternative to traditional cookie mixes. Made with non-GMO, gluten-free and artificial-free ingredients, these delectable cookies taste like a homemade treat but without the guilt. Each power-packed serving (2 cookies) contains 10 grams of protein to keep you feeling fuller longer, but with less carbs and less sugar than traditional cookies. Satisfy your cravings with our Chocolate Chip, Double Chocolate and Oatmeal flavors. The classic cookie we all know and love. Made with whole oat flour and milk chocolate chips, each bite gives way to just the right amount of crunch and a mouthful of melty chocolate. Feel free to dunk to your heart’s desire with a glass of cold milk. Each power-packed serving (2 cookies) contains 10 grams of protein to keep you feeling fuller longer, but with less carbs and less sugar than traditional cookies. 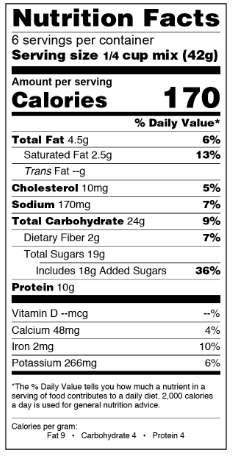 Ingredients List: Milk Chocolate (Sugar, Whole Milk Powder, Chocolate Liquor, Cocoa Butter, Milk Fat, Soy Lecithin, Natural Vanilla Flavor), Whole Oat Flour, Organic Cane Sugar, Whey Protein Concentrate, Pea Protein, Light Brown Sugar, Natural Flavor, Xanthan Gum, Baking Soda, Salt, Stevia Extract.